The Pick is in: Saquon Barkley. What’s next for Big Blue? With the second overall pick in the 2018 NFL Draft, the New York Giants selected Penn State Running Back Saquon Barkley. The wait is over. There was so much speculation surrounding the Giants pick, Bradley Chubb, any of the quarterbacks, Quenton Nelson or a trade? Nope. Dave Gettleman choice the best prospect in the draft, and to his account, the only player he has ever graded a ‘9.0’ since Peyton Manning. Saquon Barkley was deemed one of three can’t miss prospects in this draft along with Chubb and Nelson, and Gettleman and his staff didn’t miss out on the opportunity. The Quote Machine himself, Dave Gettleman said that Barkley was “touched by the hand of God”. Hard to argue that considering the talent of Barkley. Many insiders have said that Barkley was the number 1 player on many different teams boards. In many eyes, Saquon Barkley is the best player in the draft. I am going to enjoy having Saquon in the big blue, he is going to be so fun to watch and do great things. However, was this the right pick for the Giants? I say no. Again, I have no issue with Barkley he is going to be great, but I think the Giants long-term success could have been better if they chose Sam Darnold when he fell into their laps. Also, rumors were that the Broncos wanted to trade up with the Giants. We could have stock piled picks and taken maybe Barkley at 5, or Chubb or Nelson. In my eyes one of those two moves would have been better for the long term success of the New York Giants. However, that decision isn’t mine to make, luckily. But what struck me as odd was how Dave Gettleman described the situation in the draft room. He said that after Baker Mayfield was picked number one overall, he told his people don’t even bother taking phone calls anymore, Barkley was their guy. I look at that in two different ways. Either they absolutely are in love with Barkley (which I sense is the case, obviously) or Gettleman is just going from his own book. The trade offers for the number 2 pick after Mayfield was chosen first, would have been out of this world. In the end, The Giants made a good pick in Saquon Barkley. Coming off of a year where the Giants offense ranked 31st in the league and the running game ranked 26th in the league, Barkley will be a great addition to this team. The best way of looking at it is this: Eli Manning has 2-3 years left. He is still a more than capable quarterback. By this addition, it helps out Manning tremendously. An offense with Saquon Barkley, Odell Beckham Jr., Sterling Shepherd and Evan Engram (possibly Dez Bryant), will be absolutely filthy with Eli at the helm. Many described Saquon Barkley as better than Leonard Fournette, and called him Zeke, without the character issues. Even though I think the Giants would have benefited from doing things a bit differently (especially since Derrius Guice will still be on the board tonight at 34), its hard to not already be in love with the player and the person Saquon Barkley is. As for tonight. The Giants sit at number 34 with just the Browns ahead of them (who in my opinion reached twice already) and no one knows what the Browns will do. However here are the options the Giants have in order of probability and more importantly, need, in my eyes. The offensive line needs help. Protect your 37-year old quarterback and your new prized possession Saquon Barkley. Please do it. There are still first round caliber offensive lineman left and will likely be there at 34. 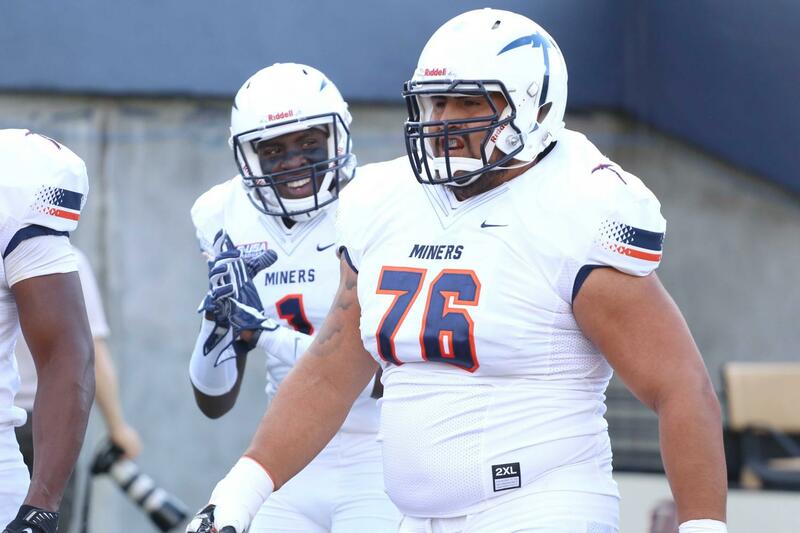 Those players in my eyes are, Guard Will Hernandez from UTEP (the most likely pick for the Giants tonight), Center/Guard James Daniels from Iowa (13 in my mock draft), and my personal favorite Tackle Connor Williams from Texas, who is an absolute beast. After bringing in Nate Solder this offseason, I don’t think the Giants choose Williams, who can also play Guard, and I see this pick in the end going to Will Hernandez. Other options to consider, Edge, Quarterback and Secondary. Edge has become a need since the Giants shipped away Jason Pierre-Paul for a third round pick this off-season, leaving Oliver Vernon as the lone big name pass rusher on the team in a new defensive scheme. 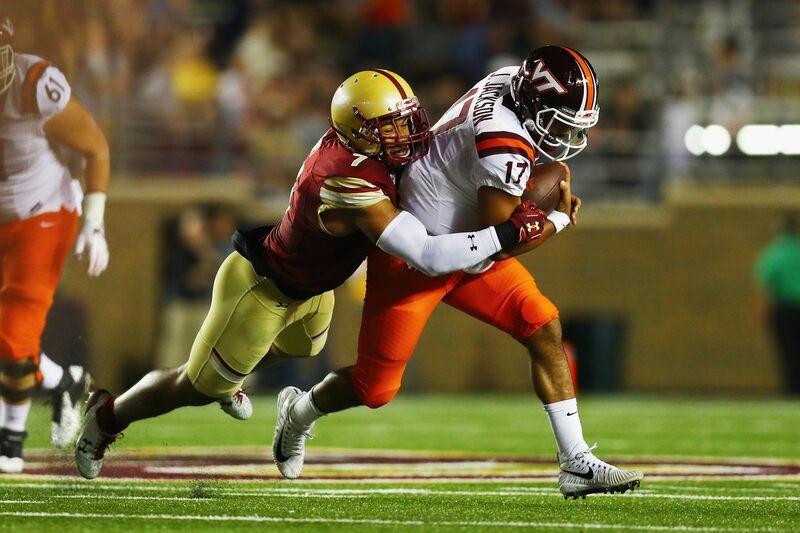 A name to keep an eye on is Harold Landry from Boston College (who I had going 16 in my mock draft). He is the best pass rusher left on the board after seeing Bradley Chubb and Marcus Davenport go off early. The Giants really need to be going after offensive lineman here, but they also should’ve been going after a quarterback at 2 and they didn’t, so keep an eye out for an edge rusher like Landry (or even possible reach for the talented Arden Key from LSU). I don’t want to discuss it but I will. There is a really good quarterback left on the board. 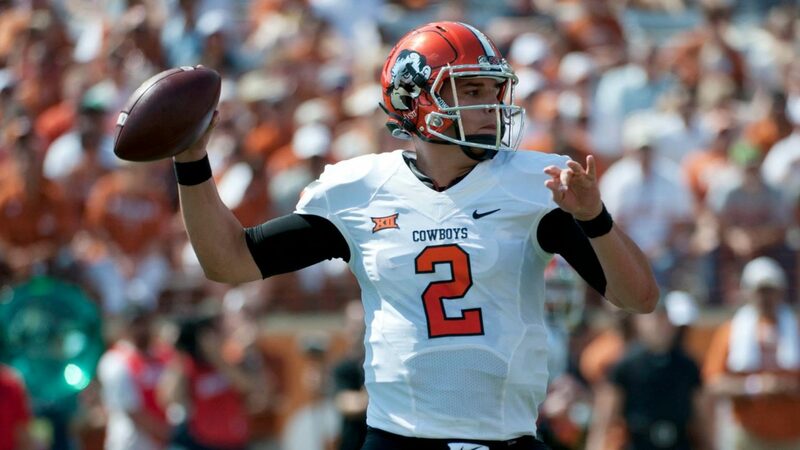 I love Mason Rudolph (31 in my mock draft) and I’m surprised the Patriots didn’t jump all over him. Shocked even. In my eyes he is going to be the third best quarterback to come out of this draft. Now, it is just left up to the Giants and how they value him and graded him as a prospect. It is possible, but I don’t think its very likely considering they skipped out in the crop of quarterbacks at number 2 (telling me the new regime likes last years third round pick Davis Webb), but keep an eye out for that. Lastly, I don think this should be the pick for the Giants at 34, but its hard not to mention. Josh Jackson is miraculously still on the board. I pictured the corner from Iowa (18 in my mock draft) as the second best corner in the draft behind Denzel Ward (when you consider Minkah Fitzpatrick a safety). You can never have enough secondary help, and Jackson kind of fell right into their laps, but I don’t think the Giants biggest need, or second or third biggest need, is secondary, so I don’t picture this being the pick, but when its a player of that caliber, its worth the mention. Looking forward to another fun draft night with rounds 2-3! Follow me on twitter @bryan_norton317 for more NFL Draft Coverage.